Following continuous cases of intimidation, harassment and attacks on journalists in Kosova, the OSCE Mission and the national Association of Journalists have launched a 24/7 helpline for journalists. 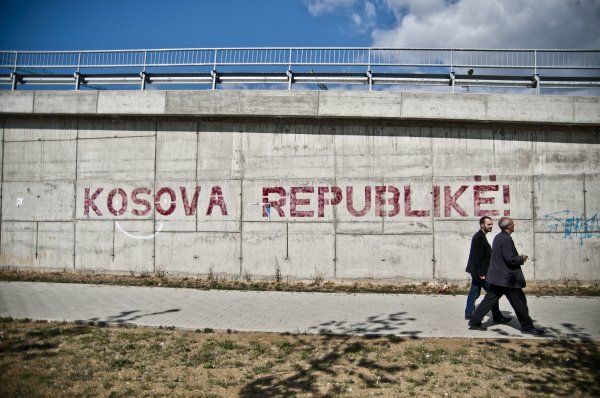 The OSCE Mission in Kosovo today [28 September 2015] launched an awareness-raising campaign urging journalists to report cases of intimidation, threats or blackmail to a new helpline set up by the Association of Journalists of Kosovo. The campaign will run for one month on billboards posted across Kosovo in the Albanian, Serbian and Turkish languages. The aim is to inform the journalist community of this helpline and use the information received to help law enforcement bodies take necessary action. “Journalists should be free to report on sensitive topics of public interest. Failure to investigate attacks against them encourages perpetrators to continue with these acts and suppress good journalism,” he added. The free helpline for reporting threats against journalists is 0800 11 333. The OSCE Mission in Kosovo is mandated with human rights protection and promotion, democratization and public safety sector development. It is helping safeguard freedom of media and freedom of expression and supports media development.